WE WON! Gaelic Song won the Celtic Radio Music Award in the category of Roots Music as one of three top songs for 2015. Over One Thousand votes were cast and our song had more than 50% of the votes over two other excellent songs. Thank You to all our Selkie Fans for making us number one! WE ARE FEATURED regularly on the Irish & Celtic Music Podcast. Blues and Roots Radio, Toronto, Canada, www.BluesandRootsRadio.com. www.celticradio.net - 5 star review from CelticRadio.net! Love it! By LaVonda Love, love, love this album! Very much worth the price! Beautiful voices and harmonies. Can't wait to get their next album. Get Celtified! By Michael Amazing album!! The harmonies they achieve will mesmerize you into a happy Celtic trance. Alli's command of Scottish Gaelic is very beautiful and blends with the music perfectly. Celtic in Texas by BetterOrganize Soothing and authentic. I saw this group perform live last night at Grapefest in Grapevine, Texas. What a wonderful surprise to find such an authentic Celtic performance while visiting on business. "Gaelic Song" from the album "Long Time Traveling" won the 2015 Celtic Radio Music Award for our Roots Traditional category. It comes with the well wishes and congratulations of the thousands of Celtic Radio community members that have come to know and love your music! The Celtic Radio Music Award is a program sponsored by Highlander Radio to acknowledge and promote exceptional Celtic music across 6 categories of music. 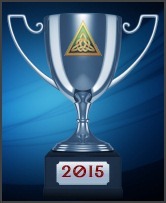 Nominations for this award are made throughout the year by listeners and members of Celtic Radio. This year we reviewed nearly 700 songs for this awards program. After a careful screening process, which is based upon listener nominations, ratings, requests, and other radio statistics; we select 3 songs in 6 categories for community voting. Categories for an award are Celtic Rock, Traditional, Jigs & Reels, Contemporary, Bagpipes and Roots Traditional. This year there were a total of 1,260 votes cast across all categories. When the voting ended on March 17, 2015 (St. Patrick’s Day) 'Gaelic Song' captured 53.89% of the voting earned the title of 'Best of Roots Traditional' for 2015 and induction into the Celtic Radio Hall of Fame.